2013's Impossible Truth found William Tyler exploring the technicolour world of instrumental composition through droning, introspective meditation. On Modern Country, Tyler turns his attention outwards, surveying what remains of America's unique culture in these modern, tumultuous times. 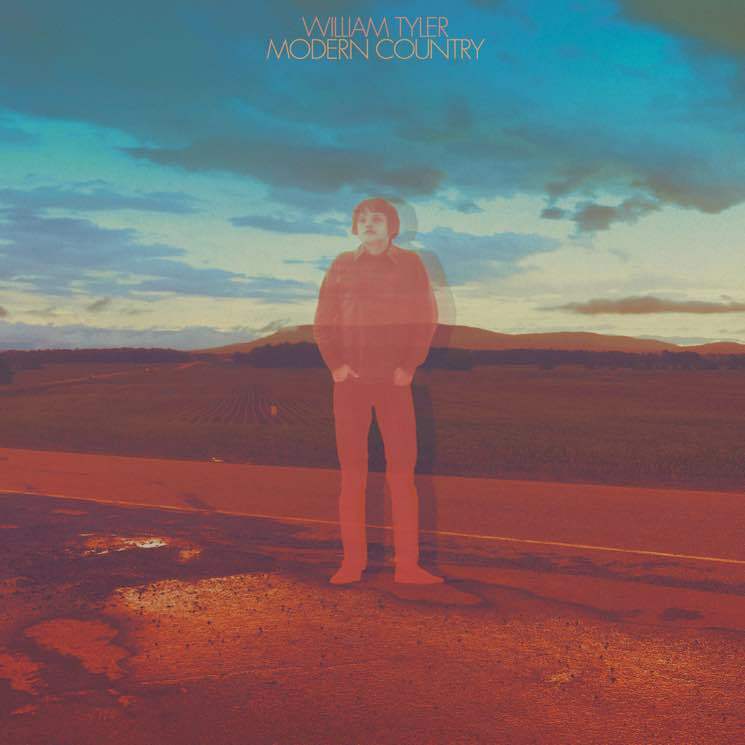 Despite its massive scope, Modern Country is a more focused, more inclusive effort than Impossible Truth was, yet retains the boundless and quintessentially American sound of Tyler's compositions. Songs like album opener "Highway Anxiety" recall the vast American expanse by starting small and building to soaring peaks, while "Kingdom of Jones" is a pleasant, laid-back ode to Tyler's American Primitive forefathers. Much of the album's focus is nostalgia, but despite its Paradise Lost narrative, Modern Country is unabashedly hopeful. Perhaps the album's sentiment is best summarised by its incredible closer "The Great Unwind," a two-part track that begins as a typically beautiful slow dance but slowly becomes drenched in fuzz, mimicking the loss of clarity Tyler sees in America today.